What can be done from coffee beans? 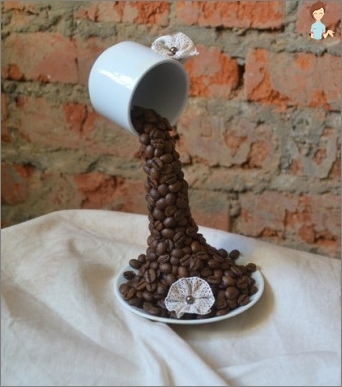 Coffee in needlework and art: decorating objects, creating coffee crafts with your own hands. How to make a coffee tree or a cup of coffee? What else can be made from grains? Coffee, like many other natural products,Widely used in handmade, that is, for making crafts with their own hands, decorating household items and even creating jewelry. How good is coffee for handmade? Crafts made of coffee beans are made quite simply. You need a little imagination, paper and glue to create a full picture or decorate the watch dial, vase or casket. 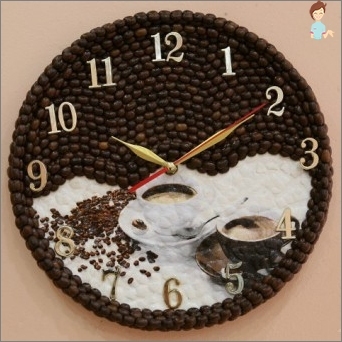 People who were not interested in handmade,Folk art and needlework, can be greatly surprised if they see coffee on decor items or household items. But even craftsmen with coffee sometimes make an impression on connoisseurs. It turns out that coffee beans are very widely spread in art and folk art. Experienced masters can create their own hands large paintings and panels, but for beginners this may seem too complicated process. In principle, it is. First, to create a large picture or a panelA sufficiently large amount of grain is needed. Secondly, it should be fried to a different degree of readiness, so that the master had different tones. The paintings when laid out are quite clear, resemble stained glass and are created by the material from light green to dark brown. One significant disadvantage of such things isThat they are dusting, but not subject to washing. In order for such products to be washed or wiped with a damp cloth, it is recommended to coat the grains with varnish before use or to treat the finished product with a moisture resistant lacquer coating. Beginners and lovers try themselves in differentSpheres can immediately begin to decorate various objects. This is the easiest way to transform your home. In the course will go and plates, and a framework for photographs, and vases. The process does not take much time, but the result will exceed all expectations. The easiest way is to lay out the contourA plate for vegetables, a tray or a frame. You can completely cover the clock face, and the glued mug will not only keep the heat longer, it can be held by hands, without fear of a burn. Before use, the material is prepared inDepending on what will be done with it in the future. For example, for gluing a frame or a clock, you do not need to cook anything, but to decorate a cup or vase you must first cover the material with a waterproof coating (colorless varnish will do). In this case, the grains are attached to a specialGlue - moisture resistant, so they do not fall off. And if you cover the finished product with varnish, then it will not only be easier to wash, it will become more shiny and attractive. 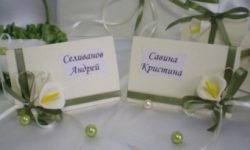 Separately, it is necessary to mention about one's own handMade things. Often the first thing that needleworkers do is the Bonsai coffee tree. Its creation does not take too much time, as well as materials. The trunk is usually made from a pencil or a chip. If there are branches, it will be suitable for themcopper wire. Take and natural twigs with flyers from bushes and trees. The crown is usually made on the basis of papier-mâché. Pot or bucket, which will be "grow»A tree, is made of cardboard, but it can be replaced by its usual capacity for flowers. Before installing a unique plant, inThe pot is poured into a suitable material for the stability of the structure. At the bottom of cardboard containers put heavy objects or fill them with plasticine or sand. Outside, they trim with moss, straw and other natural materials. Especially appreciate such gizmo coffee lovers, soAs they are not only beautiful, but also smell good. Unusual products will be an ornament and a good addition to any interior. They look unusual and beautiful. In addition, this material is characterized by an interesting texture and rich color, which allows you to create very original things. Also, grains retain their qualities for a long time andThe original appearance, they can be subjected to any processing, make holes in them, etc. Cover them not only with varnish, but also with colors, because the multicolored grains look quite impressive. In a house where there are many artifacts from coffee,A unique atmosphere filled with the fragrance of this product. Things can be created and decorated with children, because coffee is a safe material. In addition, such work develops in the carapaces fine motor skills, so that needlework has a good effect on the physical and mental development of children. First, we take the ball, which will serve as the crown of the tree, and pierce it. In the hole we insert a rod, which acts as a trunk. Now you need to install the tree in the pot and fix it. To do this, keep the wand exactly and graduallyWe fall asleep stones. This will make the design more stable. When the tree is properly installed, proceed to gluing the coffee beans themselves, using glue. It is desirable to perform several layers so that there is no visible space between the grains and voids. The sword is used at the end for the winding of the trunk. In the same way you can make a Christmas tree. This original idea is perfect for New Year holidays. Instead of a ball we make a cone out of cardboard. All other works are carried out in the same way. But among other things, the Christmas tree can be decorated to make it look really festive. To do this, use ribbons, beads, sequins. Grains of coffee can serve as a filler forTransparent vases. This applies to supports for cosmetics. To pencils, brushes and other things are not lost on the shelves and drawers, you can make a suitable stand by the principle of vases. You just need to fill in the product and insert cosmetic accessories. Grains of coffee - about a glass. 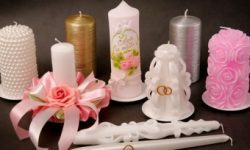 In special craft shops you can buy wire for weaving. It is plastic and quite soft. We cut it into 3-5 parts in length about 15 cm, but it can be longer or shorter. We connect the parts into a bundle and drip onto the tipA little glue so that they do not creep, and then wrap it with twine. This measure will better connect all the pieces of wire and glue the corn to each other. Now it is necessary to bend it so that one endWas inside the cup, and the other - at the bottom of the plate. It is necessary to accurately fix it in this position with the help of glue. The latter is best to take a second, but acceptable and hot glue, which is applied with a thermo gun. We are waiting for the joints to dry. Then we set the saucer and the cup in accordance with the law of equilibrium. The wire will make it possible without problems. Otherwise the craft will constantly fall and as a result it will sometime be broken. It was the turn of the coffee. For this purpose, you can use any variety. The first layer should be glued "Humpback"Up. The seeds should be close to each other. Distribute them as if they really are poured from a cup into a plate. After the first layer dries, proceed to the second, but now the grains should be turned "seam" outward. They need to be laid in the spaces between the lower grains. The lower part of the craft is made out enoughSlowly and the material on it goes more, but with careful work it will turn out very nicely. After this, you need to give the handicraft to dry and you can put it in a prominent place. The smell of glue will disappear quickly, but the aroma of coffee will remain. It is possible to cover such work with varnish, but then there will be a shine without flavor. 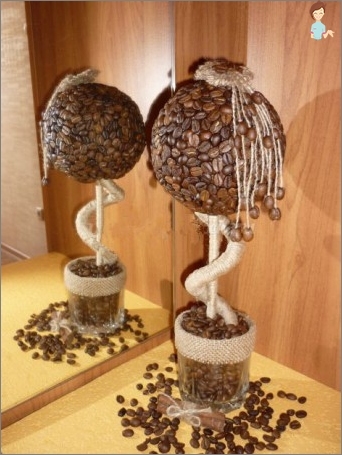 In a similar way, it is possible to make other artifacts from coffee beans. Some of them will please the eye, and others can be used in everyday life. 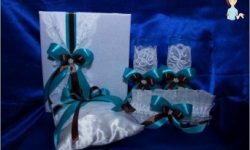 Each needlewoman will be able to find something personally forYourself, do it yourself or together with the children, make a gift to a loved one or a pretty interior decoration. Enjoy your handiwork and beautiful crafts!